The Exynos-powered models from previous Galaxy S models appeared to be slightly faster than the Snapdragon versions, but it looks like the situation is now reversed for the upcoming Galaxy S10 handhelds. Early samples of the Exynos 9820 and Snapdragon 855 tested in AnTuTu show a slight advantage for Qualcomm's chip, but the final versions might provide different results. 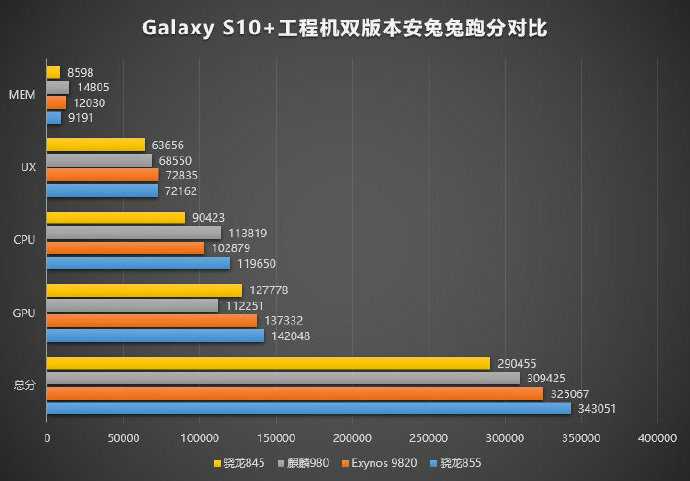 Samsung will soon introduce its latest flagship Exynos 9820 SoC with the release of the Galaxy S10 lineup of handhelds, and we caught a glimpse of how well this chip is performing through a leaked AnTuTu benchmark from last week. However, as with previous Galaxy S versions, Samsung will also release Snapdragon-powered versions for the U.S. market. 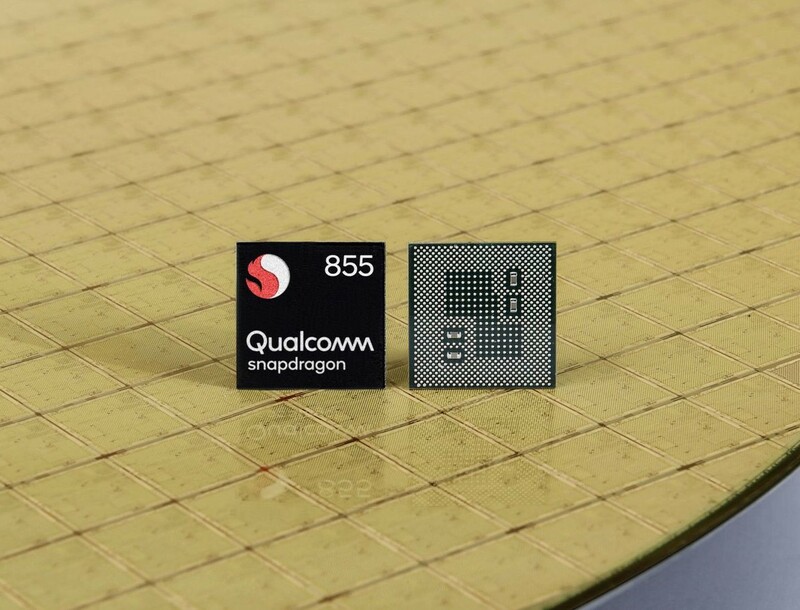 Qualcomm has recently introduced the Snapdragon 855 flagship which will power some S10/S10+ models and AnTuTu already has some benchmarks showing the difference between the two versions. These are preliminary benchmarks, so the final versions could end up even faster than depicted hereinbelow. Unfortunately, the AnTuTu benchmarks never mix up Android devices with Apple ones, so we cannot see such direct comparisons for now, but it looks like the Snapdragon 855 is overall a tad faster than the Exynos 9820 and the Kirin 980 from Huawei. Surprisingly enough, the Exynos 9820 SoC is slower than the new Snapdragon and the Kirin 980 in the computing tests, while the Kirin 980 leads in the memory-related tests. On the UX side of things, the Exynos barely emerges victorious. Some may argue that synthetic tests do not really reflect real world applications. Huawei has been caught manipulating benchmark results before, so these tests may not be too accurate, at least not with early samples like these. More and more users are putting an emphasis on A.I.-powered tasks and want to compare different brands in this respect, so popular benchmarks should take this into consideration.